Russians are now saving money on new clothes, electronics and vacations. The results of a new survey shows consumers in Russia are at their gloomiest for 11 years as disposable income dries up, with many unable to afford a vacation. Russian consumers are morenegative about their economic prospectsthan they have been for the last 11 years, according to new data. The Nielsen Consumer Confidence Trend Tracker, a data visualization survey that shows how consumer sentiments regarding the economy change, has seen Russia reach its lowest score in the first quarter of 2016: 63 points. In comparison, during the last crisis in 2009 the index was 75 points. 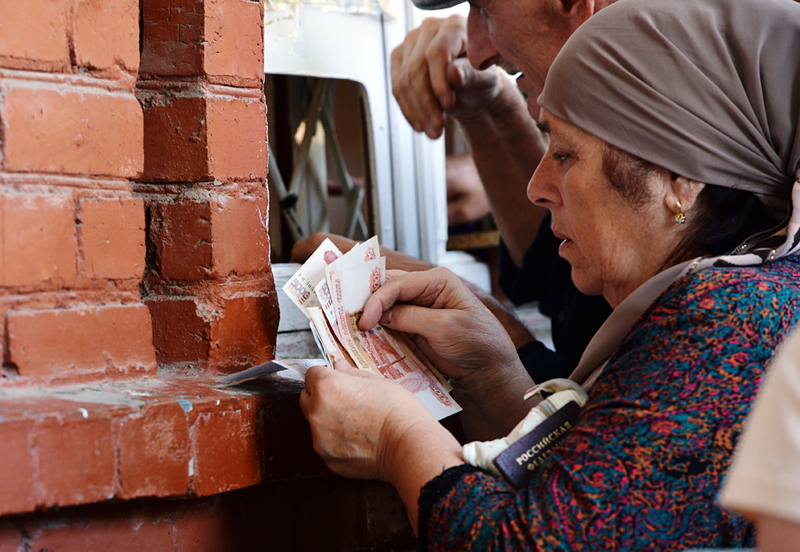 According to the survey, a total of 18 percent of Russians no longer have any disposable income. During the 2009 crisis the share was 4-7 percent. The population is now saving money on new clothes, electronics and vacations, with 70 percent of the people who responded to the survey saying they do not believe that the situation will improve. "Exhaustion – this is the word that can be used to characterize Russian consumers today," said Marina Lapenkova, director of Global Clients at Nielson Russia, adding that the upcoming summer gives Russians little cause for optimism. "With the lack of accessible alternatives, Russians will either not go on vacation or will choose uninspiring solutions," she said. In comparison to the same period last year, Russians' interest in a summer vacation abroad in February 2016 declined by 3 percent and in a domestic vacation – by 16 percent (Russian Tour Operator Association data). The leaders in demand for domestic vacations are resorts in the Krasnodar Territory, Crimea and St. Petersburg; and for vacations abroad – Cyprus, Greece, Spain and Montenegro. The share of Russians who are economising on their vacations has increased in one year to 31 percent, by one point, according to Nielsen. Dilyara Ibragimova, professor of economic sociology at the Higher School of Economics in Moscow, says that the current state of consumer activity is different from the one in the 2008-2009 crisis because of its prolonged pessimistic mood. "During the difficult year of 2015 the mood was unhappy, however, a series of social-political events supporting the patriotic spirit helped create a positive impact on the perception of the future," she explained. "Today these factors have disappeared and exhaustion from the harsh economy, in which consumers have been living for a year, is growing."